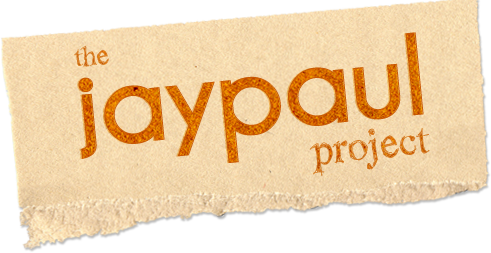 The JAYPAUL PROJECT is comprised of Jay Turvey and Paul Sportelli. Jay Turvey is a writer/director/actor/singer based in Toronto. He has worked at the Shaw and Stratford Festivals, and has appeared in Toronto productions of Les Miserables and The Lion King. Paul Sportelli is a writer/musical director/pianist. He is the music director of the Shaw Festival and has conducted on Broadway (Aspects of Love) and in Toronto (Beauty and the Beast). 1995: Jay and Paul begin writing songs together. 1998: Jay and Paul release their debut CD "j-paul," which features 12 original songs. 1999: Jay and Paul write a song for the Shaw Festival production of "The Madras House" called "Halfway." The song appears in the play in various arrangements, and these different versions, plus instrumental music that Paul composes becomes JAYPAUL PROJECT'S second release, an EP: music from "The Madras House." 2001: Jay and Paul release their third CD, "The Story Of My Life," which, like their first CD, contains 12 original songs. 2003: "Little Mercy's First Murder" receives its world premiere production (Tarragon Theatre, Toronto). It is the first musical that Jay and Paul collaborate on; Jay and Paul compose the music, Morwyn Brebner writes the book and lyrics. "Little Mercy's First Murder" wins 7 Dora Awards later that year. 2004: Jay and Paul write and present a workshop performance of "Tristan." They write the book, music and lyrics. 2006: Jay and Paul present a workshop performance of their new musical "Maria Severa." They write the book, music and lyrics. 2007: Jay and Paul release their fourth CD, "Tristan." It coincides with the world premiere production of the piece at the Shaw Festival. 2008: "Step Right Up!" receives its world premiere at Theatre Orangeville. Jay and Paul write the music and co-write the lyrics with the show's book writer, Eric Woolfe. 2009: Jay and Paul produce a one-night-only special event, "nobody told me," in Toronto -- a song cycle featuring the music of JAYPAUL PROJECT. 2009: The musical "Maria Severa" is performed as a staged reading as part of the Shaw Festival's Reading Series. 2010: Jay and Paul begin working on their fifth musical "Oracle," and present a first workshop performance. 2011: "Maria Severa" receives its world premiere as a part of the Shaw Festival's 50th Season, where it runs from July through September, and is extended into October. "Maria Severa" receives its European premiere later that year at the Panstwowa Wyzsza Szkola Teatralna in Krakow, Poland, translated into Polish, where it runs from November 2011 through March 2012. "Oracle" is chosen to be part of the Summerworks Festival in Toronto (Musical Works in Concert), and is performed in August. "Oracle" receives a rave review in The Torontoist. 2012: "Oracle" is workshopped at Arena Stage in Washington, DC and is presented in a workshop performance. Jay and Paul begin working on their sixth musical "33-1/3."